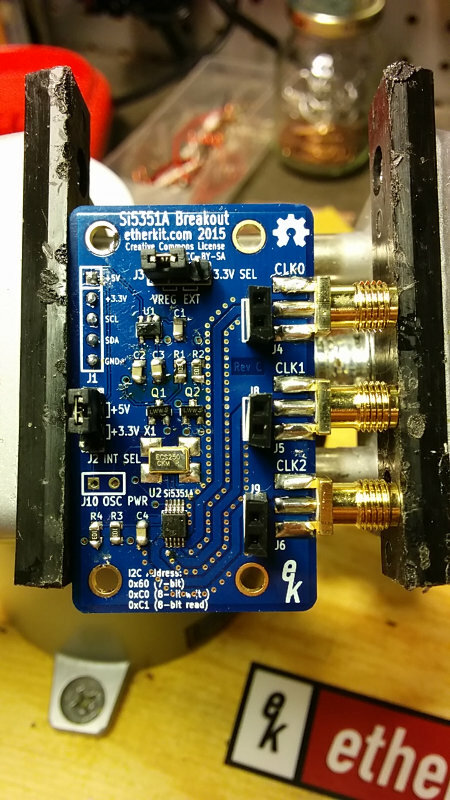 Finished assembling a non-TCXO version of the Etherkit Si5351 breakout board today. With three boards worth of experience behind my back now, this one went pretty smoothly. Set this one up to use in a breadboard like board #3. Then it was off to test them out. 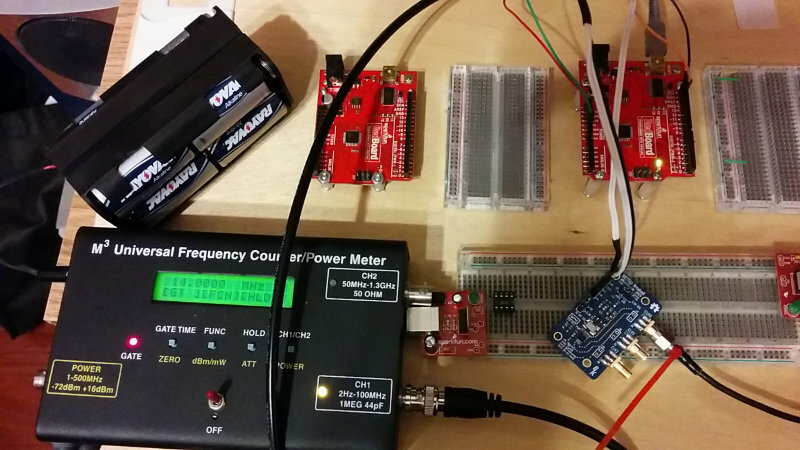 I used Jason’s Si5351 Arduino library (as of this writing, the ‘jason’ branch is the most current one) and one of the example sketches with one of my *duino boards, connected the M3 frequency counter and wired everything up. Much to my surprise, the first board (with the TCXO) worked, and the frequency was pretty much bang on, at least to the resolution the M3 meter is capable of. The non-TCXO board I assembled today was off by a bit (~900 Hz), but Jason says that’s normal for the regular oscillator. The other two TCXO boards worked as well and were right on frequency. 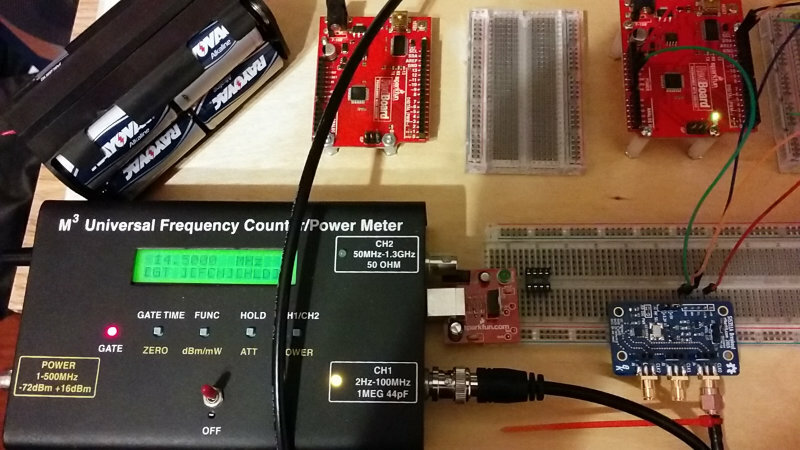 Now I need to work on more precise frequency measurements so I can work out the calibration offset for each of the boards.